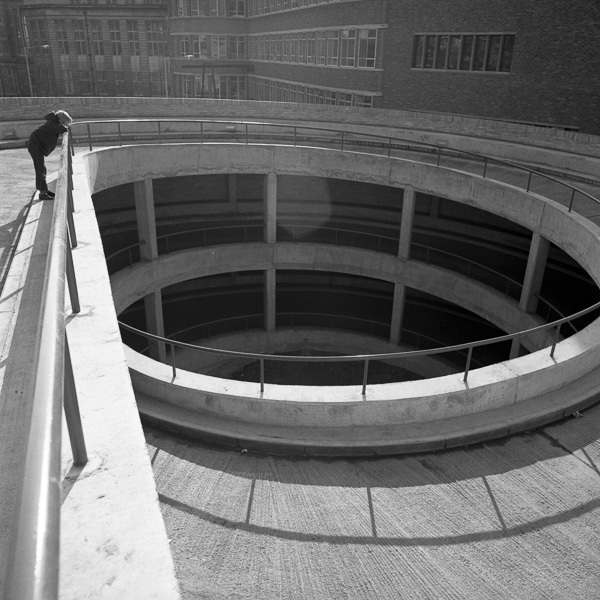 In 1971, the late Peter Soar, a Cambridge solicitor and keen amateur photographer, set about recording the last days of the parts of Cambridge city centre destined to be demolished to make way for major redevelopment. He also photographed the area during construction and after most of it was completed. The resulting photographs are published here for the first time in three sets. The first taken mostly before or at the start of redevelopment; the second during; and the third when it was nearing completion. The archive is divided into three sections. 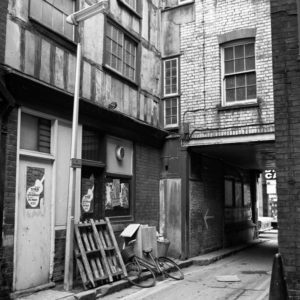 The area he covered included the old Lion Yard, part of a coaching inn after which the new development was to be named, as well as one entire side of Petty Cury, a street of small shops mentioned by Samuel Pepys in 1660. Somewhat ironically, much of what is shown here has now been demolished to make way for the Grand Arcade redevelopment, the latest change in the cityscape. I had first met Peter in the early 1970s, in his professional capacity as a local solicitor, but I had no idea then that he pursued photography so avidly in his spare time. It was only in the early 1980s, when he agreed to assist in setting up the Cambridge Darkroom, that I learned of his interest in the subject. More than twenty-five years later, I met up with him again whilst carrying out research into Edwin Smith. In conversation, he mentioned that he had exhibited some of his own photographs alongside those of Edwin in Cambridge in 1970, as part of a Cambridge Civic Society exhibition in the small gallery at Joshua Taylor’s department store. The images reproduced here are the complete set made at the time, from which those exhibited were drawn. The photographs were mostly taken as he travelled to work in Cambridge in the early morning on his push-bike. The streets are empty of people and cars for the most part, the old buildings already sadly neglected and derelict after suffering many years of planning blight. The photographs show some of the small alleyways and back streets that formed part of the medieval hub of Cambridge, as well as the shops, offices and restaurants that made this part of the City such a fascinating place. Many locations are shown that I well remember from my first years in Cambridge in the early 1970s. Viewing the collection now is like stepping back in time – especially for anyone who remembers this area as it was. The cars and fashions seem so dated, and not at all how I remember those days! Peter’s photographs are more often than not carefully composed and executed, not just work-in-progress documents – although they partly fulfil that role as well. Amongst them are, I think, some remarkable images that go beyond ordinary documentation, similar to the way that many of Atget’s photographs of Paris captured something more than just the architecture that he confronted with his camera. 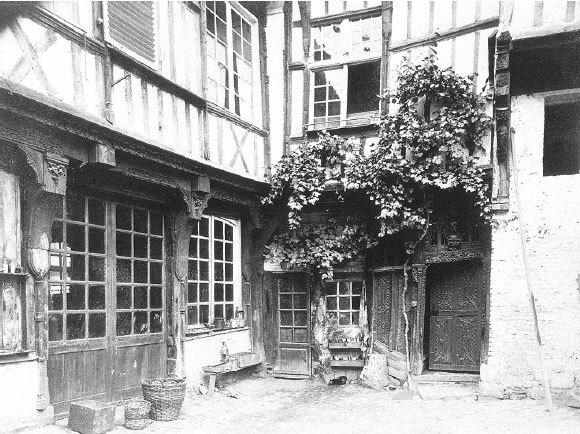 Consider this image by Atget with the one by Peter Soar shown at the top of this page. Peter Soar’s booklet on Atget. 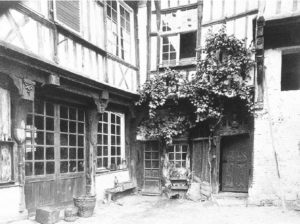 Now I’m not sure if Peter was aware of Atget’s work when he took his view (he most likely was) but towards the end of his life, whilst teaching himself to use a desktop publishing program, he produced a small booklet on Atget. You can download it here (PDF format, 10MB) by clicking on the thumbnail image. There are over 180 photographs here altogether, with few duplicates, and Peter gave me access to the original negatives so that they could be scanned for the first time. All were taken either with a Hasselblad or a Rolleiflex, resulting in 120 film (6x6cm) negatives. Some of the sets contain other photographs taken around Cambridge on the same roll as the city centre views, but I have left these in. I have divided the photographs roughly into three sets: Before, During and After redevelopment. They are excellent companions to my own study of The Kite Area of Cambridge, made some ten years later than Peter’s and with far less dedication and thoroughness I regret to say. Sadly, Peter died in 2011, but not before he saw these published here for the first time. Before he died he provided me with a document listing the locations of each photograph. These have been added as captions to the photographs. Although he was never more than a dedicated amateur photographer, he held a life-long interest in the medium, its history and its practitioners. Some of this enthusiasm obviously rubbed off on his son, Timothy Soar, now a highly-regarded architectural photographer. Tim actually appears in one of the photographs made by his father all those years ago, shown above. You can see some of Tim Soar’s outstanding imagery on his website.